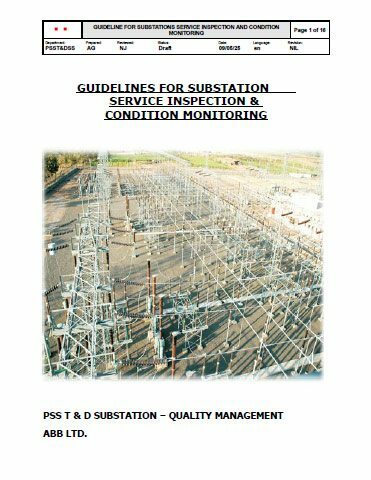 This guideline is prepared in view of the requirements for switchyard service inspection (visual) and condition based maintenance of substation equipment, structures and other miscellaneous items in substations. These guidelines are necessarily general. It is recommended to carry out maintenance of equipment as per manual supplied by manufacturer. All inspections and test procedures should also be performed in accordance with applicable codes and standards. The aim of this guideline is to provide in general visual inspection check points for the structures, grounding systems, LT switchboards, etc. for which as such there is no readymade guidelines available. to verify the health of the equipment. Service visual inspection is the necessary activity to identify any visible abnormality or failure and require to be performed at specified interval. Whereas condition based monitoring checks (on line/ off line) are necessary to identify internal defects or abnormality, so that necessary preventive action can be taken up. 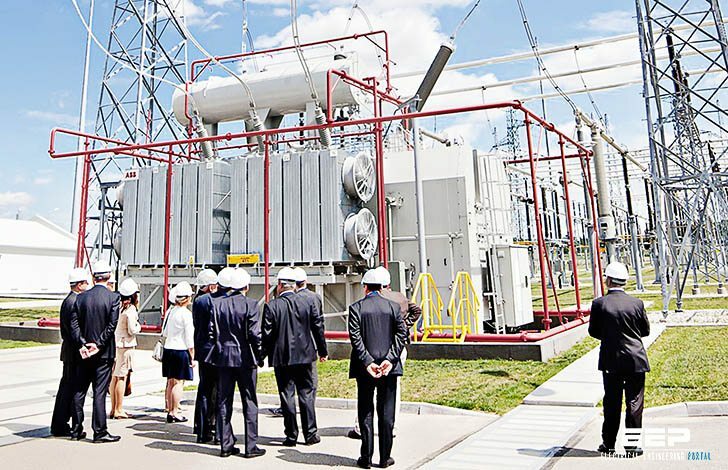 The substation in total and the individual items of equipment contained therein should be periodically inspected. Binoculars should be used to view buses and other equipment located on structures. Depending on geographical location, local environmental condition, periodic inspection of painting and galvanizing condition of structures, panels, equipments etc. is required. Inspect for paint condition, damage paint, chalking effect, rusting etc. If any damage observed, do necessary repaint or repair work. Check for loose connections of all ground connections at equipments, structures, panels, other equipments etc. Check for any sparking marks at termination or joint. Observe the condition of any flexible braid type connections for damage. Tighten the connections, clean the joints and replaced if found damage. Earth pits should be kept wet so as to have low resistance. Measure overall ground grid resistance. The Value obtained should be comparable with initially measured values or designed values. Inspect all the structures for loose or missing bolts or nuts. Observe any damage paint/ galvanizing or signs of corrosion. Inspect for deterioration, bending, buckling and cracking. It is really informative and helps to have a proper maintenance of the equipment in the substation. IT IS REALLY INFORMATIVE AND ENHANCES THE KNOWLEDGE OF ELECTRICAL PROFESSIONALS IF THEY READ IT THOROUGHLY AND APPLY IN DAY TO DAY WORKING. KEEP DOING SAME FOR ELECTRICAL COMMUNITY. Very interesting and informative articles.